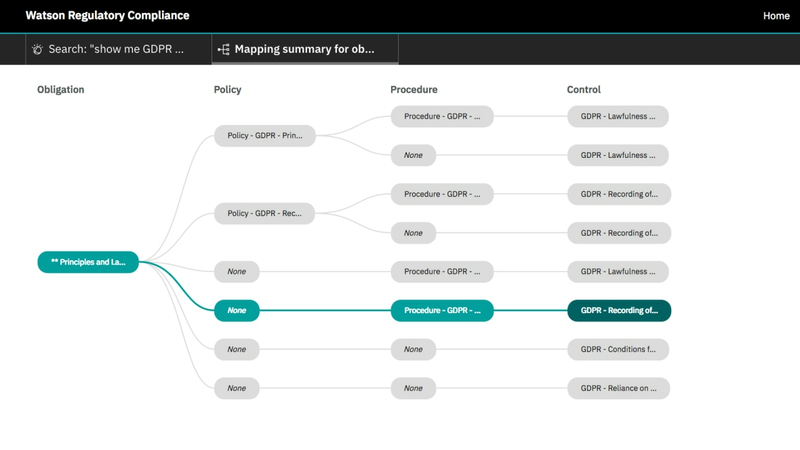 IBM Watson® Regulatory Compliance is a cognitive cloud solution that can improve the way you manage regulatory compliance. It streamlines the identification of potential regulatory obligations, reduces the time and costs of compliance, and enables sustainable management of controls through an easy-to-use dashboard. Uses cognitive natural language processing to streamline identification of the potential obligations and controls required to address changing regulations. Enables you to proactively assess and manage regulatory requirements. Gain insight into regulatory exposure across multiple jurisdictions, sectors and regulators. Helps you reduce the time and costs related to understanding regulatory requirements and controls. Provides a support platform for ongoing management and remediation of controls.